Monday started like any other day, except that I couldn’t log on to my brand new computer. A colleague arrived late for a meeting that she had scheduled just days ago. The sales clerk couldn’t comprehend that I wanted a small coffee not a large chai and words on the page of the report I needed to read, just weren’t sinking in even after the third read! 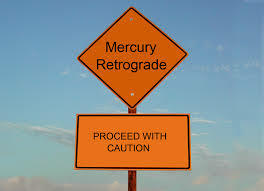 Of course, the dreaded Mercury Retrograde was to blame and would be on the receiving end of this blame until November 10th- the date of my youngest daughter’s milestone 21st birthday. I hope I don’t send the card a week late! Technological snafus and crashes, misunderstandings, brain fogginess and lack of mental acuity and articulation are some of the cautions when talkative Mercury slows its course. This posting is not going to belabor the miseries of Mercury retrograde. I hope instead to offer a creative and positive way of looking at a space of pressurized expansion of how we think and communicate. Mercury began its cycle of Retrograde on Monday at 6:29am (EDT). Other than a Saturn Return, the Mercury retrograde can be one of the most frustrating of times primarily, because this planet’s energy is all about communication. The Retrograde period usually occurs 2-3 times per year and lasts approximately 21-28 days and is distinctly marked as a time when communication and their supportive devices come to a screeching halt and misunderstandings are the norm. Let’s begin by taking a look at the scientific definition of a retrograde. Astronomy 101: What is a Retrograde Motion? An animation showing the retrograde motion of Mars in summer of 2003. Astrologically, when a planet changes direction in its normal path of progression through the zodiac, this is called a “station”. The planet’s progress slows down in is orbit until it appears to pause in its motion giving the appearance of moving backwards. The Retrograde Station occurs when the planet begins this slowing down and seeming movement backwards. The Direct Station occurs when the forward motion of the planet begins again. 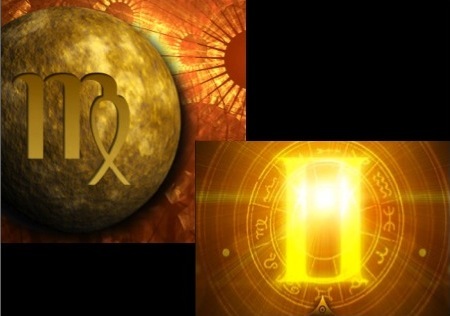 Whatever astrological sign the planet retrogrades in gives added emphasis and more intensity to how the planet expresses its own energy now given a full and prolonged dose of the sign’s own specificities. These highly potent effects can be building or waning (depending on which end of the station you find yourself) for days prior or after. Much like, the concentrated effort needed in slowing down to come to a traffic light, pausing, and then having to carefully and incrementally apply enough gas to reach your top speed again. If you like it, do it again. In previous posts I’ve talked a lot about the dynamics of Mercury and how facile this energy is in providing information through varied means of communication and creative style. A Mercury retrograde offers up the opportunity to refine that style and if you slow down with the process rather than fighting against the presumed outcomes you will find there is much to learn about how you communicate. This is a time of amplifying and heightening the awareness of how we move through our daily exchanges and process information. The caution of giving more scrutiny to agreements and contracts provides an opportunity to take the time to really internalize and be sure that you clearly understand the effects of the cause you will be setting into motion. This space of pause and deeper reflection means that there is also greater depth to the amount of change you can exert before you have backed yourself into a less than optimal outcome. 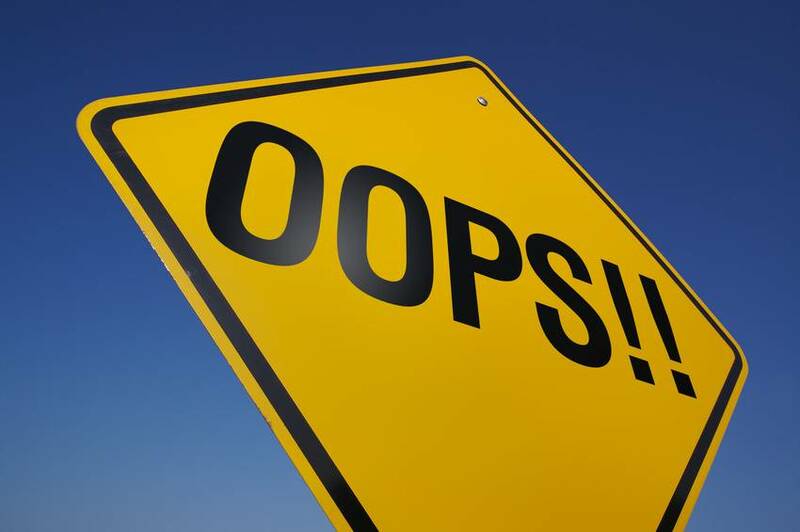 Everyone makes mistakes and finds themselves at the mercy of the consequences of what that mistake created. We also often use circumstances as the reason for not allowing ourselves to fall, fail and start over again with a fresh perspective. 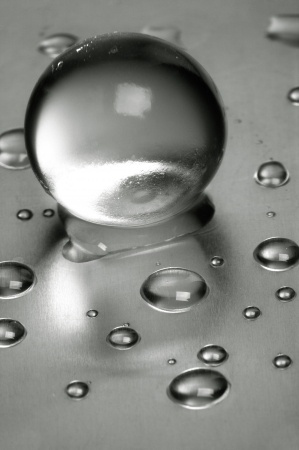 Think of the Mercury retrograde as a petri dish in which to cultivate that fresh perspective at an organic level. What we change of our emotional reactions can become informed and insightful responses that affect the way we communicate those responses. Instead of falling prey to the annoyances of delays and miscommunication, allow yourself the pause to be creative in how you choose to respond. Don’t allow the excuse of “oh well, Mercury is retrograde, so….” to enable you in avoiding a growth opportunity. Remember that Mercury is the trickster, but there is also the element of duality to that slyness. Try to view the delays and less than articulate interactions as points of polarities. Each, having their extremes with the goal being to try to stabilize and balance out those extremes so that the smooth flow of communication can begin anew. 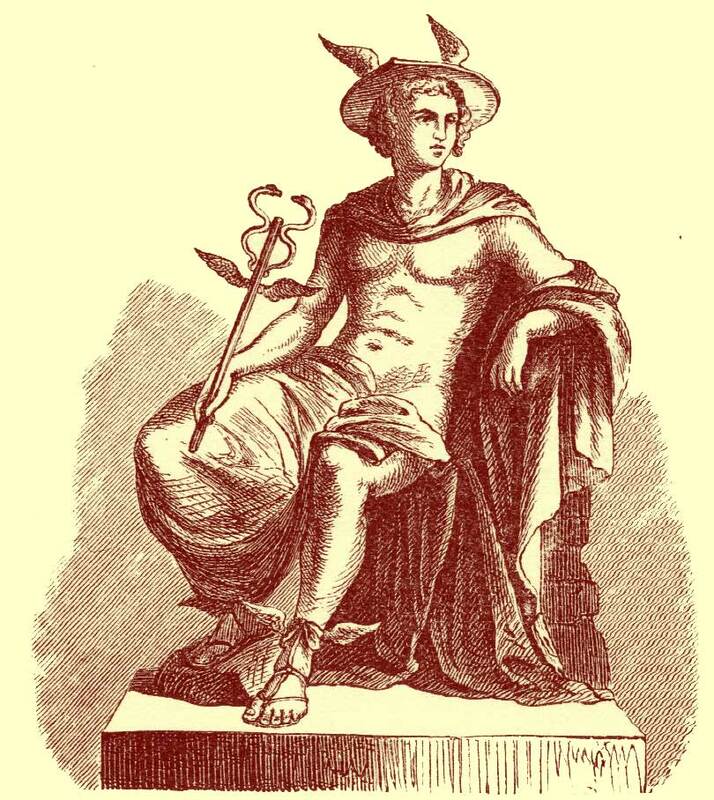 Remember, Mercury/Hermes was the Messenger of the Gods. What messages are you sending when you don’t slow down and reevaluate. We live in highly energized times and are largely at the mercy of perceived “time” and most often feel rushed with each decision we make. Even when the message is loud and clear that we need to stop and/or reverse our decision we hesitate, feeling that we are being weak in our communication and ineffectual in our results. The Mercury retrograde allows the space of disengagement from our regular way of doing business. Slow down a bit from your ordinary frenetic pace. Unplug for a few hours voluntarily (and before the computer crashes or the cell phone loses its signal) and put some space between the compulsive need to instantly react to every new path technology calls you to. You may actually find that you like this new freedom of being unfettered and at the beck and call of technology. Those interruptions of signals of communication that frequently crash or reroute during a Mercury retrograde are metaphors for the disruption of our own communications by relying too heavily on devices to keep us talking and communicating instead of creating our own network of personal interface. Here’s another thought! The Sun moves into the astrological sign of Scorpio today, October 23rd. Scorpio is a Water sign of the Fixed Modality. The water aspect relates to depths of emotions and the Fixed quality brings a stability and structure to help form a suitable container for their flow. One of Scorpio’s compelling attributes is the quality of taking what is hidden and deeply buried and pulling it up to the surface to be used either in a destructive way or as a positive lesson. The Sun in this sign serves to shine its light to illuminate those dark, dusty corners of mind and heart that like to remain hidden from sight. With this additional overlay upon Mercury’s retrograde, there is great opportunity to shine this spotlight of strength and courage on what bubbles to the surface about how we connect to others and communicate our needs and wants. We can examine where we may be less than honest with ourselves regarding the agreements we have with ourselves and the effects these have on our communication with others. We can redefine where we rely to heavily on artificial means of communication and how to free up our more inspired and creative mind supported by those hidden talents we’ve kept under wraps. We can also use this energy to push full throttle and see just what we are capable of when we allow the dynamics of Mercury’s full power to exert it creative flow. So, for better or worse a Mercury Retrograde awakens new ways to problem solve and rewire your communication hard drive. On a practical note, it wouldn’t hurt to back up important files on your computer, make sure important appointment dates are confirmed and carry an extra battery, just in case for anything requiring one. What I left out is that if you have a retrograde Mercury in your natal chart, many are immune to the “side effects” of this period of time. That heightened sense of awareness about communication skills, goes into overdrive and tends to make the individual more verbose and able to navigate largely unscathed. So, I apologize for the wordiness of this post. I am one of those Retrograde Mercurians! We’ll conclude our time in the Temple with information about Mercury and Planetary Magick. This week we will take a look at the expression of Mercury through its attribution on the Qabalistic tree of Life. Mercury is the Planetary energy of the sphere of Hod. In order to fully understand the nature of this sphere you must have a bit of knowledge about the Tree of Life, itself and the other spheres that form the greater whole. Although this may not seem to directly relate to the Temple of Mercury it is an important piece of this dynamic planets energetic signature. 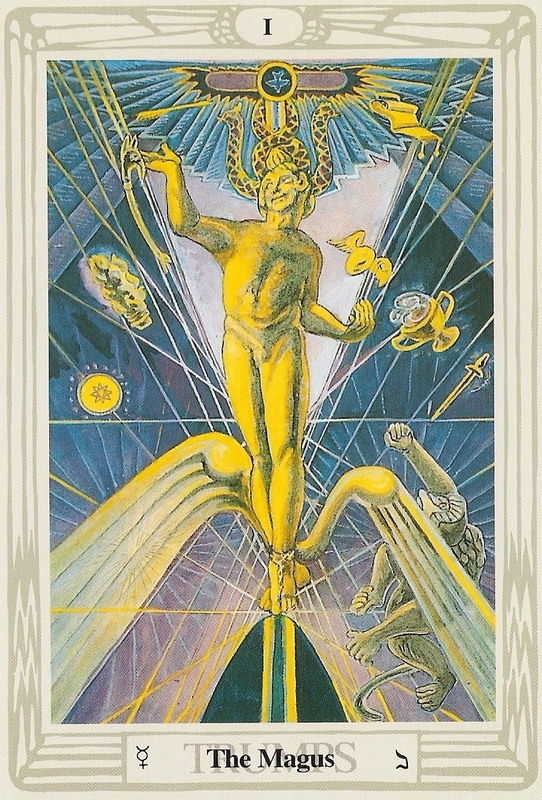 The lesson to be gained from this exploration is an affirmation of the flexibility of Mercury’s mind and style of communication. In other words, replace the name of Hod with that of Mercury wherever you see it used! Applying this overlay of a mystical system that expands and easily maps in accord with its topic of application just as fluidly as Mercury’s movement, opens new doors of experience and interconnectedness found within all of the planetary temples. The inherent wisdom of these energies permeates all levels of understanding, philosophy and teachings. The semantics may differ, but if you have the basics down, you can easily identify Mercury’s (or any of the planets) place in the equation. So, in the spirit of drilling deeper into what Mercury looks like in another of its forms, take a journey into the Tree of Life. The subject matter of the Qabalah is one that many people do not easily gravitate towards; either deterred by the sheer mass of its scope or feeling that this particular overlay of system has no reference to the purely magickal systems. 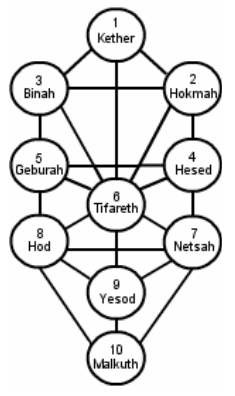 Although, rooted in the Judaic mystical system the Kabbalah (spelling is Judaic form)/Qabalah (spelling used to distinguish as Western Hermetic overlay) this construct of energy, thought and working is a suitable companion to any magickal and spiritual system. The sheer fact that a statement such as that can be made offers testament to the enduring scope and permanence of its application over a broad and diverse spectrum. Within the Tradition to which I belong, The Assembly of the Sacred Wheel, the principles of the Qabalah are strongly and consistently used throughout all of our covens and the enhancement to the magickal workings and rituals is undeniable and the change evoked through its deeper exploration is palpable among those who incorporate it into their lives. 10 Sephiroth (Spheres) each having their own specific energetic signature and action. In the beginning there was nothingness- the absence of substance and form (Ain); and as the nothing became aware of itself it also realized the limitlessness nature (Ain Soph) of its being. This realization expanded and with more awareness came the birthing of limitless light (Ain Soph Aur). This limitless light felt the urge to create- and from it emanated Divine Intelligence – Kether. All things needing balance- in its wisdom Kether split and from this source of being the remaining nine (9) spheres became emanations of the varied permutations of Wisdom, Understanding, Mercy, Severity, Beauty, Victory, Glory, Foundation and finally coming to rest in the Kingdom of Earth- Malkuth. The Planetary ruler of Hod is Mercury, so it is fitting that this sphere is considered the sphere of communication. Within its rationale and reasoning are the tools that may be used in discovering the deeper mystery contained within information. It is through the crystal clarity of pristine thinking that enables better and more efficient means of communicating what knowledge has been extracted. It is also this modality that makes Hod the ideal energetic support for ritual work. The sphere of Hod is assigned to the element of water; despite the appearance that its should be a sphere of Air given the pure thought, reasoning power and intellect. Simply put this is the action of Water of Air. The watery aspect insures fluidity and movement as well as the eroding and smoothing away of what is presenting obstacle. This is the breath of mind that is carried on the varied and great streams of consciousness that diverge and reunite again as new tributaries and channels are opened. Regardless of the route they all resynthesize and become part of the One as the destination of return to Source is achieved. Hod is the first sphere on the ascent of the Tree that has multiple paths of connection including the place of sitting at the base of the Pillar of Severity. 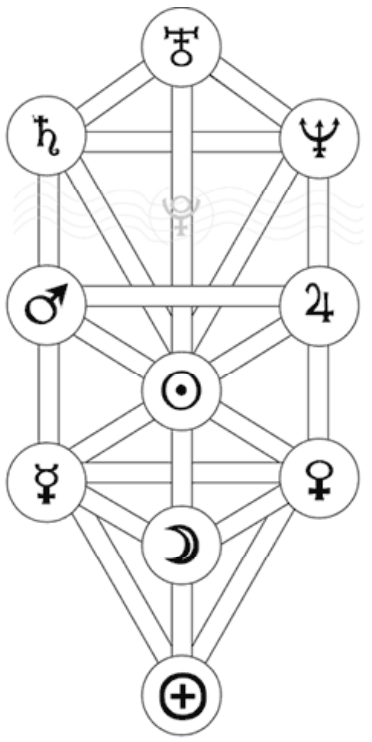 It is also connected via a Path to Tiphareth (the central sphere of the Tree) to the left of Netzach (the base sphere of the Pillar of Mercy) and reaching upwards out of the Moon sphere of Yesod. Just as the mind and brain have many chambers, corridors and paths contained within, Hod offers many routes of emanation from its core to be opened and awakened as the place where structure, order, categorization, analysis and making sense of it all. 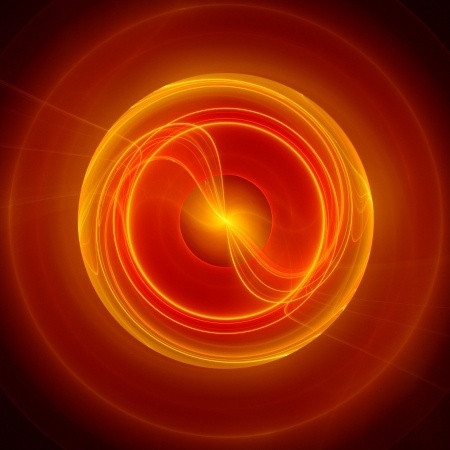 Hod also serves as the distributor of what work has been accomplished in the manifest realm of Malkuth and the discernment of Yesod upwards towards its more refined spheres. The Illusion of Hod is false ego based on faulty knowledge. It is the allowance of what is subjective and personality-filtered information to fill the coffers of our minds disguised as unbiased thought. Furthermore, claiming credit for those brilliant seeds of inspiration when they are nothing more than the over inflated toutings of one craving acknowledgement for being wise, breeds the dishonesty of validation that is not merit based, nor is it sound in its reasoning. As the time honored thought on this matter goes- true wisdom cannot be found within the knowledge of book learning and course study. True wisdom is what is the result of experiencing at the level of connection to a Higher Consciousness what has been learned through books and study and transforming it into an enlivened part of oneself that cannot be disputed, argued, reasoned away or often even explained to others who have not also had similar experience on the path towards Wisdom. 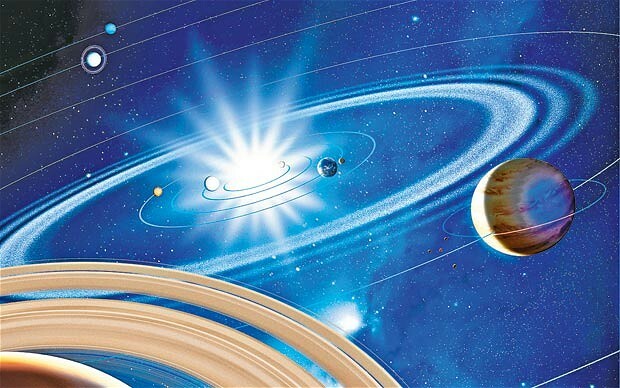 Many of the modalities we use to establish connection to the greater and lesser worlds, inner and outer worlds are directed through the energy of Mercury as its core component. We desire the ability to understand and comprehend what we perceive by way of information and we act to recreate those moments when we experience clear, palpable and penetrable communication from a Divine source. 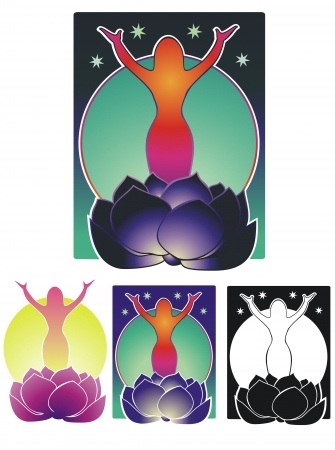 We evoke and invoke Deity by way of fusing mind and heart with desire and will and establish sacred space through communication of movement, action, intent and the power of the word and breath. 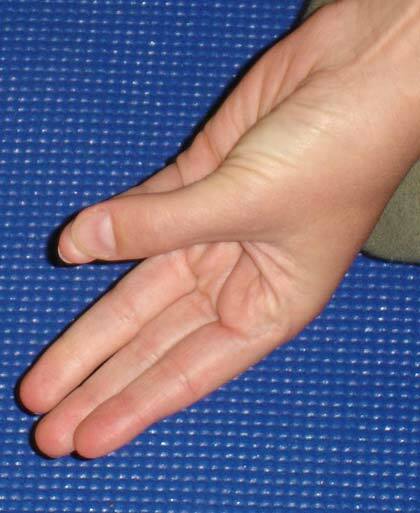 As example, Mindfulness Meditation is an expression of Mercury’s mental prowess. The premise is simple in the goal of simply offering acknowledgement to each thought that presents itself in the continuous stream of consciousness; and by so doing allowing them to flow easily beyond the field of distraction. As simple as the premise is, the difficulty in wrangling the mind to “think” in this highly organized and methodical way is one of determination and dedicated discipline. I think this is Mercury in its pure essence of form. Speed that must be directed in order to slow the cognitive functions in alignment with what the desired product of manifestation hopes to become. As you move through your day, take a few minutes in the morning, at lunchtime and before bed to check in with your thinking self. Try to be aware of where some of these perceptions and thoughts have originated. Were they the products of interaction with others? Were they the products of you sitting quietly and mindfully “brainstorming” the solution to a problem? Were they the products of inspired reading or did they seem to flow from the muses themselves? Although we use the faculty of thought regularly throughout the day, the quality and receptivity of that process are often the results of being on autopilot, without much attention to what is actually happening. Try to set aside some time each day (15 minutes is a good starting point) to sit quietly and be fully engaged in what thoughts, ideas and inspirations are moving through you. Write down these ideas. They are often the seeds of a great idea or even potential answers to something that at a subconscious level may have been of concern. By establishing a routine time to simply “be” with your thoughts, you are facilitating a greater opening to the Universal and Cosmic ideology that surrounds us. And, once that connection is made, you are then opening to the Divine. Next week: Mercury Goes Retrograde on October 21@6:29am (EDT) What does this mean and how to navigate its influence? The Temple of Mercury posts will be on Wednesdays. I was in error when I attributed Tuesday as the planetary day of Mercury. It is actually Wednesday. Check back tomorrow and discover the Astrological Mercury! The Temple of Mercury- What’s up? That only I can accept. News and teachings I bring. Of my flexible and mercurial intellect. Its honored place in what I share. Of He who holds the Silver-Tongue. Welcome to the Temple of Mercury. This month we will be exploring the energies of the planet Mercury and process the information through a variety of esoteric systems. This is the planet of communication, inquiry and dissemination through all creative acts of connection and interaction. In summary, Mercury always wants to know “What’s up?”; and then spread the news received. Each week during the month we’ll look at this dynamic planet’s energy astrologically, the mythology of its Deity, its application in Lunar and Solar Magick, and through the lens of the Qabalah. And, Mercury will take center stage this month on October 21 when it goes Retrograde, remaining so until November 10th when it returns to its direct motion. I will be posting on Wednesdays- the planetary day of Mercury. Reading recommendations, poetry and pathworkings will bring this Temple to life and your understanding of its energy will deepen your understanding of communication in all of its forms. So, to begin, read through the poem at the beginning of this post again. Let the words create the images of your understanding. Breathe deeply into these images, open your mind and your heart and step into the Temple of Mercury.